It seems like freebie scams are all over the Internet these days. We all love getting things for free but you have to be careful when choosing which offers to sign up for or a scam could end up costing you way more than you bargained for. 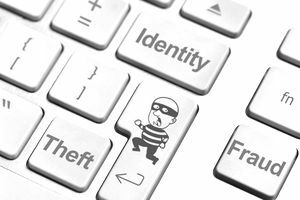 Before you request your next freebie, read these important tips on how to avoid freebie scams. It will keep your information safe and secure. A freebie isn't a freebie unless it's free! If a website wants you to pay for a freebie, no matter how they spin it, then don't request it. There are some freebie scams that ask you to pay a small amount of money for a "processing fee" or "shipping and handling." After they've collected the money, they take it and run leaving you and everyone else without the freebie. Sometimes freebie scams will want you to sign up for a "free trial offer" of one or several online services in order to get your freebie. Avoid these at all costs! At best you'll never be able to get the free trial canceled and at worst they steal your credit card information. Most freebies are only worth a few dollars. Occasionally there are freebies worth a bit more. However, you will never get a car, house or large value gift card for free - these are all freebie scams. A popular freebie scam on the Internet is for gift cards to popular stores or restaurants up to $500. You may see these in your email, as ads on websites, or your friends sharing them on social media. These are freebie scams and you shouldn't request them. They'll sell your personal information and you'll never receive the gift card. Big companies such as Walmart and Kraft give out a lot of free sample freebies. They want you to try their products hoping you will then go out and buy them. These big companies have the money to give out all these free samples. When a freebie for a Kraft product is offered, make sure that it's from the Kraft website. You're never going to get a freebie that a website doesn't really have to give out. Smaller businesses do occasionally give out freebies. These are mostly low-cost items such as pens or magnets. If you see a freebie that's over $5 in value offered by a company that you've never heard of, then don't request the freebie. While you want to make sure you're requesting freebies from a reliable website, you should also make sure you're finding your freebies on a reliable freebie website. Freebie communities are great because people will post and openly discuss freebies, helping everyone avoid freebie scams. When I see a freebie from a website I don't know, I ask myself "Why is this company sending out freebies"? It makes sense only if they want to make money off of it in the future, such as hoping you'll buy the full-sized product. Most freebies require at a minimum that you provide your name and address. This is acceptable information to require because they need this information to mail the freebie to you. While there may be several other questions asked to get a freebie, I highly recommend that you only provide the information required to get the freebie. You don't want to trade in your privacy for a freebie. Any other non-required information that's asked is likely going to be used for marketing purposes only - in other words, more spam and junk mail. Many times when you request a freebie, the company will want your phone number and email address. This does not mean that the freebie is a scam but if you don't feel comfortable providing the information, then don't do it. The same goes for any questions about your household or buying habits. If you're worried about getting junk or scam emails when you request a free sample, you've got a reason to worry. Most likely you'll get on a list where you'll get flooded with spam. I suggest getting a free email account that you use only for freebies to keep it all out of your personal email. You should never give out your credit card information or social security number when requesting a freebie. If you see this information required for a freebie then this freebie is probably a scam. Let's say you got a freebie lead on a forum where other members say the freebie is valid. You don't have to provide credit card information, your social security number or any other personal information you aren't comfortable with. It doesn't sound too good to be true either but for some reason, you still feel funny about it. There's just something not right about it. My advice is to move on to the next freebie. No freebie is worth getting taken by a scam.